Need help voting? 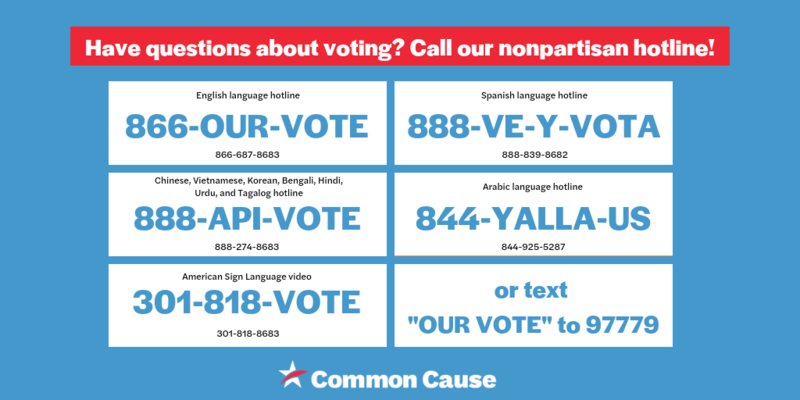 Call 866-OUR-VOTE to connect to a trained, nonpartisan volunteer! Have problems or questions about voting?